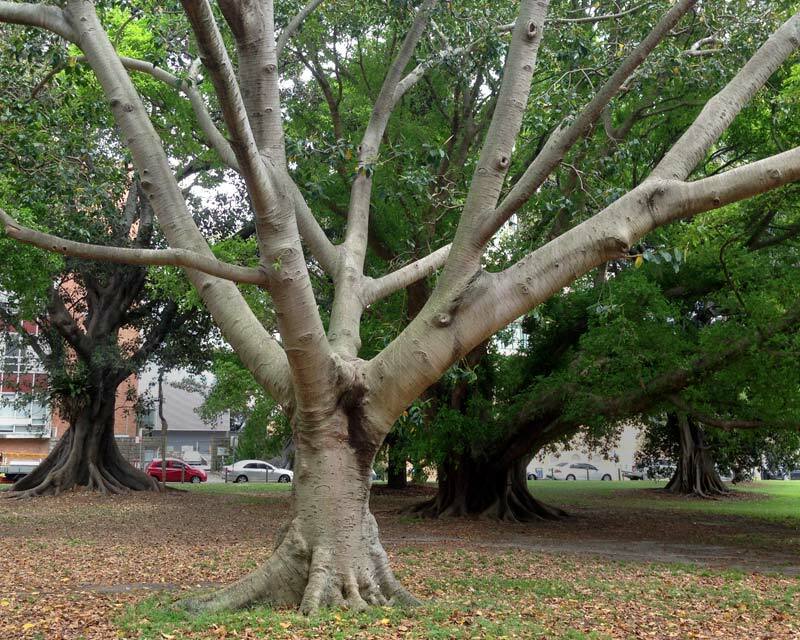 Grown outside in warm humid conditions, Ficus elastica can become a massive tree, growing up to 40m, given time. It has aerial and buttress roots helping to anchor the trunk and support the heavy branches. It also has invasive roots that can break up paths and water pipes. 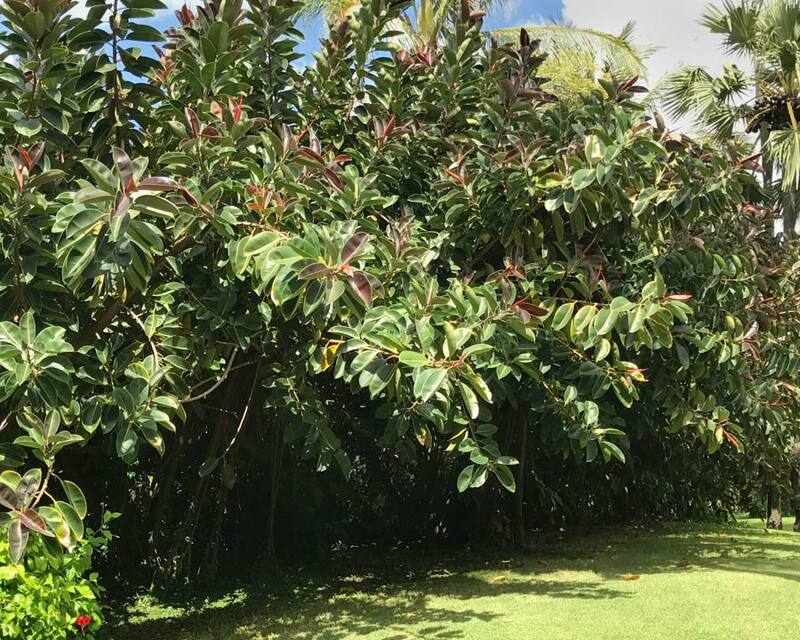 It has large, glossy, elliptical, deep green leaves that start bronzy from a rolled up, pointed sort of sheath. It produces tiny flowers but these are not visible as they grow within the developing fruit. The fruit are oval and greeny-yellow. In cooler climates it is a popular ornamental house plant growing up to 3m. The glossy deep green leaves give the room it inhabits a tropical feel. 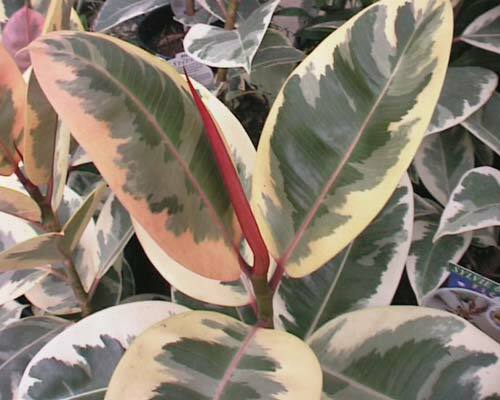 Because of their popularity many hybrids have been created and many have variegated leaves. When grown as house plants they tend not to produce flowers and fruit. 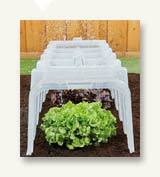 Soil: Will grow in most soils providing they are well drained. Inside place in a bright room with lots of filtered sunlight. Use a fast draining potting mix. 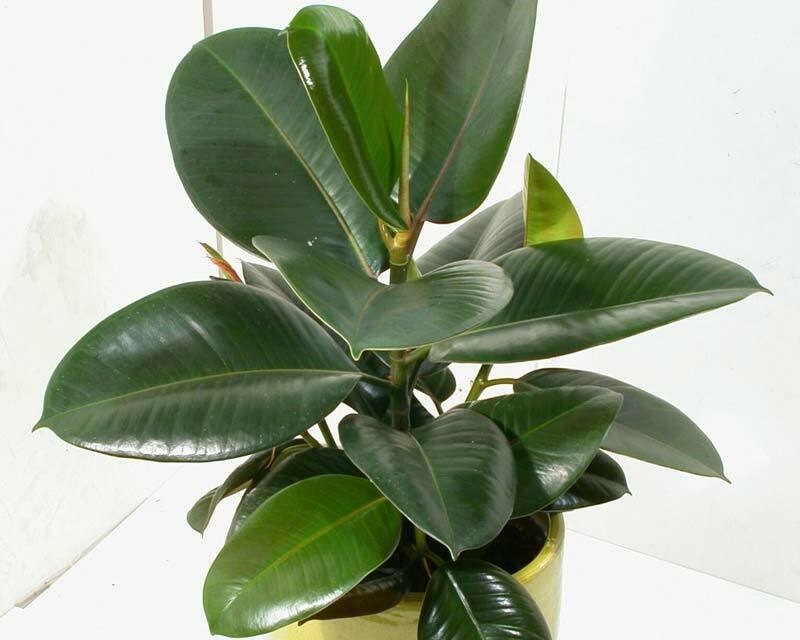 Ficus elastica needs regular watering and time to dry out between waterings. During the growing months feed weekly with a weak liquid fertiliser. When the weather is warmer it is good to place the plant outside in a shady spot for a few weeks. 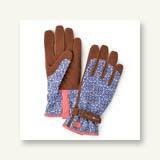 These plants like warm humid conditions so avoid putting next to a heater or radiator. 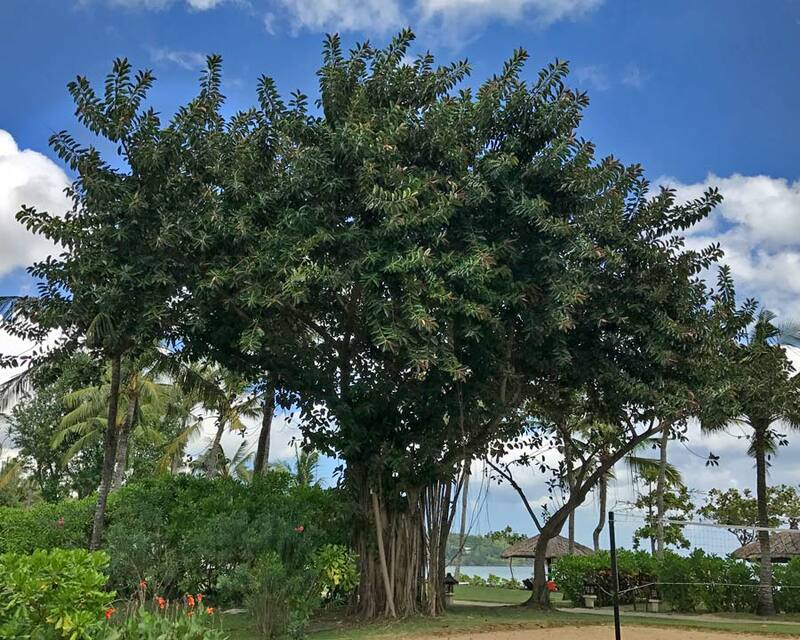 Other Species: There are around 800 species in the Ficus genus. 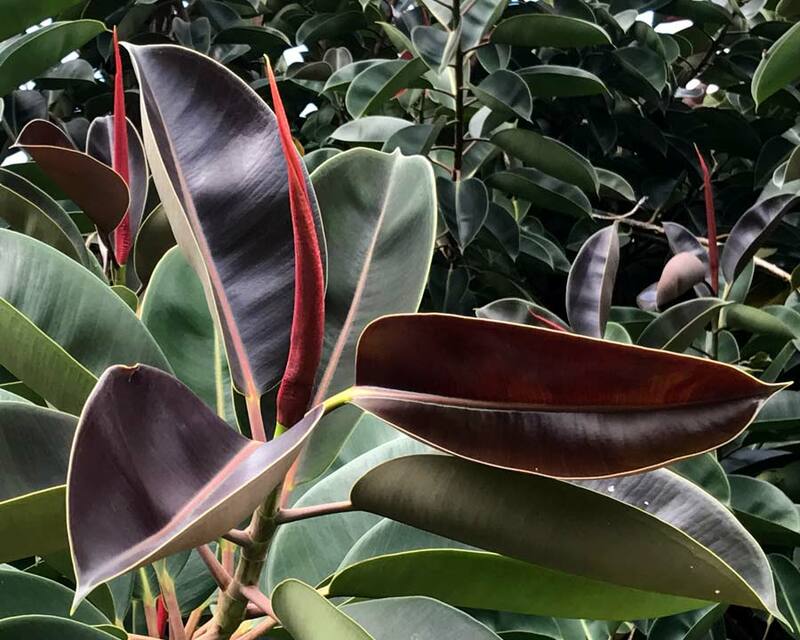 Popular varieties of Ficus elastica include 'Burgundy' and 'Tineke' which is variegated. Comments: The sap is poisonous and should not be ingested, it can also cause skin irritations so wear gloves when pruning and if you get sap on your skin rinse off immediately with water. Once planted as a commercial source of rubber.